This bow is in excellent condition. String and cables are in very good condition. It has se 3 composite limbs. g5 rock 3 pin sight, trophy ridge arrow rest, hand strap. it is right hand. Enhance your hunting experience and fill those tags with a compound bow that is tough, lightweight, and perfectly stable. The Mathews Drenalin compound bow sends each arrow zinging toward a target at 320 feet per second. A quiet cam system and a 40- to 70-pound draw weight make this compound bow perfect for archery target practice or for getting the drop on that big buck. At 3.85 pounds, it keeps the load down when the hunt goes mobile, and a 33-inch total length means carrying it slung across the back or in a case does not cause any problems even in tight spaces. 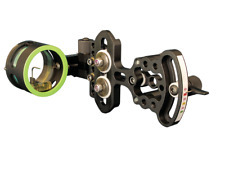 Its speed and accuracy make this Drenalin bow a great choice for bowhunting. Hunting pros and archery enthusiasts prefer this Mathews Drenalin bow for its light weight and stability. The Drenalin bow is noticeable right away for its slim design. It is one of the lighter Mathews bows with re-designed, parallel limbs that are more narrow to produce faster arrow speeds. Measuring 1.1 inches in width, its limbs are sleeker and thinner than most other bows.Climb a mountainside or trek deep into the woods with this at your side. The Drenalin bow is easy to maneuver even in tight spaces. It is much less bulky than others in its class. It's made with an SE3 composite material that is tough and will last a long time. Mathews' factory tests show that this material makes this bow's limbs twice as durable as older products. These characteristics combine to make this Mathews Drenalin bow one of the toughest, most reliable bows available. Other great features of this product include how quiet it is and its reduced vibration. Silence is golden and an important part of successful hunting. Reducing vibration improves accuracy, which is crucial in taking out your target. This bow's dampers work to eliminate noise and allow you to operate in stealth mode when you are hunting. You will experience a smooth draw as you take aim at your target with this Mathew Drenalin bow. It features a StraightLine perimeter-weighted cam system and a six-point harmonic damping system built into its riser, cable guard, and string suppressors. This is the technology that works efficiently to minimize vibration and increase accuracy as you shoot. Its let-off is 65% or 80%.Mathews bows feature a unique, patented cable guard that uses ball-bearing rollers to guide its strings, which is better than using plastic slides. This cable guard system is yet another reason why this top-of-the-line bow produces such a smooth draw. Hunters and archers will discover that shooting arrows with the well-built Mathews Drenalin Compound Bow is a fun and comfortable experience. It has a brace height of 7 inches and a draw length of 25 to 30 inches. The Mathews company has been hitting the mark with its bows since the 1990s. 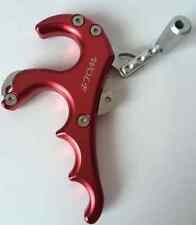 Archery fans, hunters, and hobbyists alike will find this impressive product a reliable tool. Manufactured between 2007-2009, it continues to be a must-have for those interested in bowhunting and archery. 27in., 25in., 30in., 29in., 28in., 26in. item 5 Mathews Drenalin Compound Bow 60-70# DL 27.5" ATA 33" -Mathews Drenalin Compound Bow 60-70# DL 27.5" ATA 33"
My brother wanted to share his purchase of a 30" right handed 70 lbs Mathews Drenalin Compound Bow. He was amazed at the price it went for considering all the extras included. The bow was described perfect and in great shape, fast, accurate, and quiet. He is truly amazed at how awesome it shoots and can't wait to go hunting. He is a first time buyer on Ebay, he has heard of the great deals you can get and now he is a believer. He was excited to obtain this bow at nearly half retail value. This bow shot perfectly right out of the box, I ordered it and when it came I knew I got a good deal. The guys at the archery shop told me the bow was in great shape and it made me feel a lot more confident. After shooting it at the range and also in my back yard I have dialed in the sights and it shoots better than I thought. I would recommend a Mathews Bow as they are built really well and have a great reputation. The LX is light and shoots awesome, and there are a lot of good deals on them on ebay. Good bow for a starter. A little slower then the speed bow today. Nice draw and back wall. Easy to tune, but takes time. Cam timing is important more one this bow than other models. I bought the Mathews Drenalin bow three weeks ago and was immediately impressed with how well the bow shoots. The Drenalin is a very smooth drawing bow. My only complaint is why didnt I purchase this bow sooner. Other bows I've owned have been great but the Mathews Drenalin is a fast smoother shooting bow much superior. Overall, I'd recommend the bow if you're on a budget.